Have you been spending time outdoors this spring? I’ve been doing my share of gardening and lounging in the beautiful weather. In fact, the more time I spend outside, the more I realize just how much my yard could benefit from some strategic DIY projects. 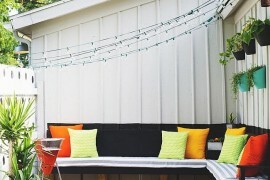 Earlier this month, I shared some little improvements I completed to start getting my outdoor space ready for spring. 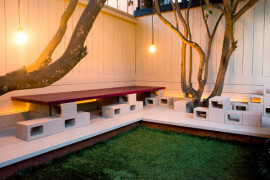 And then on Monday, I wrote about DIY projects created with cinder blocks–researching the post inspired me to create my own cinder block bench for the front patio (I’ll share the details soon). Now that my patio has received a bit of a boost, it’s clear just how blank the surrounding walls truly are. 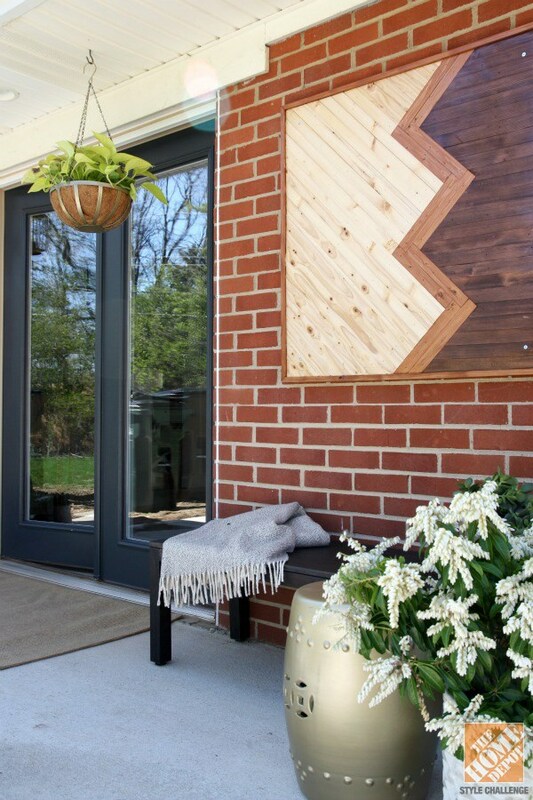 I’m hoping to fill the space with a diy wall art project for the outdoors, hence the inspiration for today’s post! 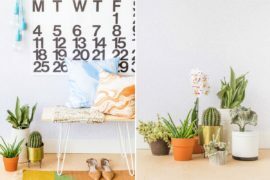 Believe it or not, there are a variety of options that will weather the elements, and you can definitely create some interesting pieces that will fit your budget. 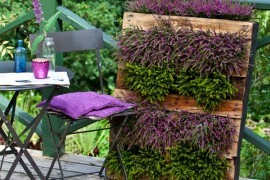 Check out the fabulous ideas the follow, and see if they give you that boost of DIY energy you need to fill your outdoor space with modern flair! 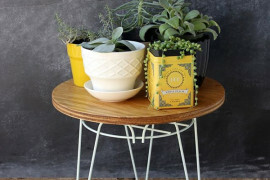 This first batch of DIY projects involves the use of wood. When working with wood outdoors, keep in mind that your material of choice will likely weather over time. Which is what many people LOVE about wood! But make sure you research how your selection will hold up in the elements so there are no surprises down the road, and so you can seal/treat the wood if you desire. While I might not include the misting system if I give the project above a try, the modern structure of the wood got me thinking about other ways to incorporate wood into outdoor art pieces. Which brings me to the next selection: a modern wooden art piece! 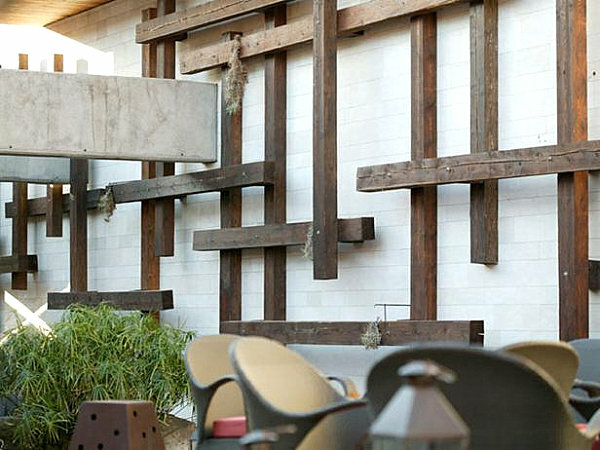 Created by Dana of House*Tweaking as part of Home Depot’s Patio Style Challenge, the work consists of salvaged wood mounted on treated plywood and sealed to protect it from the elements. 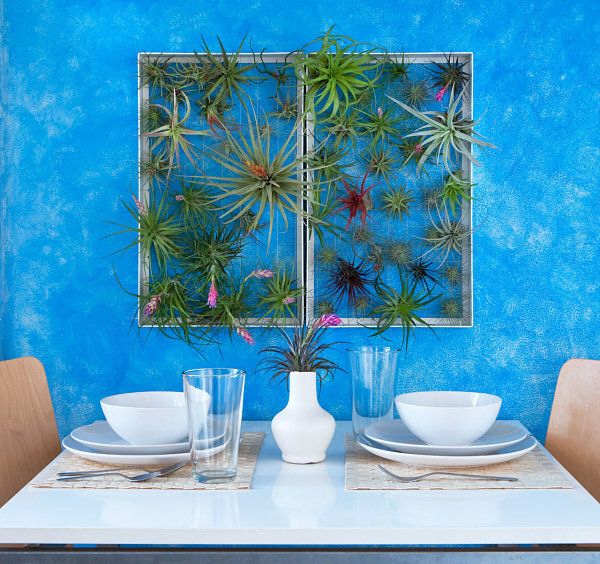 When it comes to purchasing outdoor wall art, my dilemma involves the style of most popular selections. This style is typically ornate, featuring scroll work and other heavy patterns in wrought iron. Not that there’s anything wrong with this style–it’s just not my style. 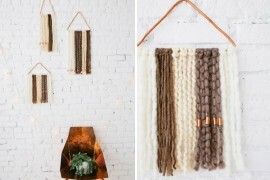 I was thrilled to find these more modern DIY alternatives involving the strategic grouping of materials! 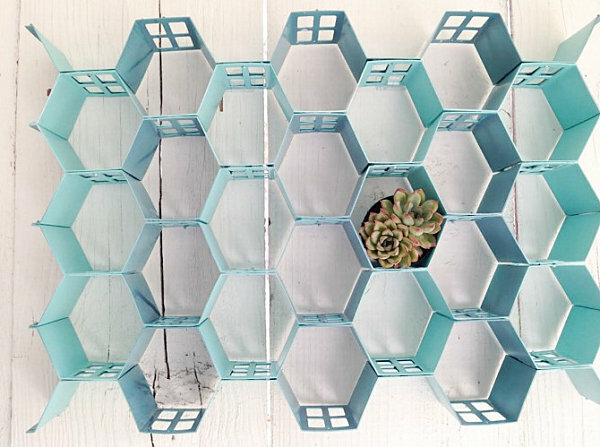 How clever is this DIY Honeycomb Wall Art, created from spray painted sets of drawer organizers fastened together?! Check out the full tutorial at DIY Showoff. 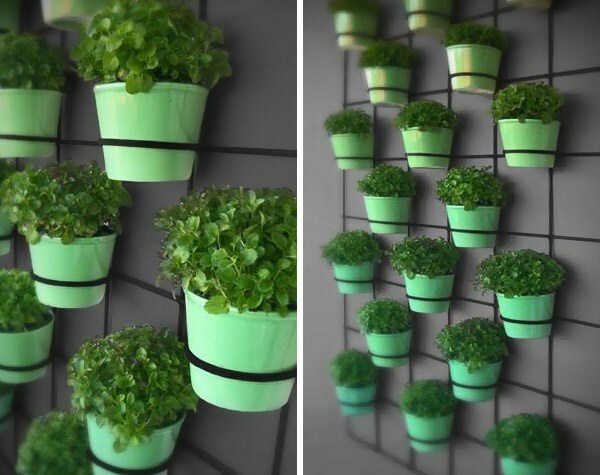 These Wall Play Ornaments from Flora Grubb Gardens come in sets of three or nine, and they’re available in lime, orange, red, blue and purple. 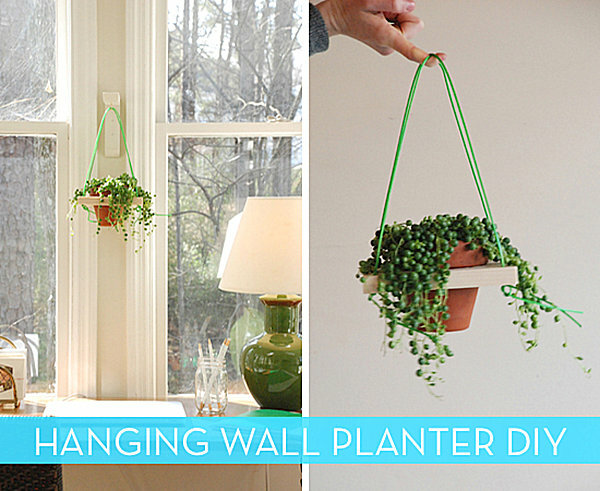 Arrange them in groups to create your own wall art that doubles as a handy hook system for outdoor items such as tools. 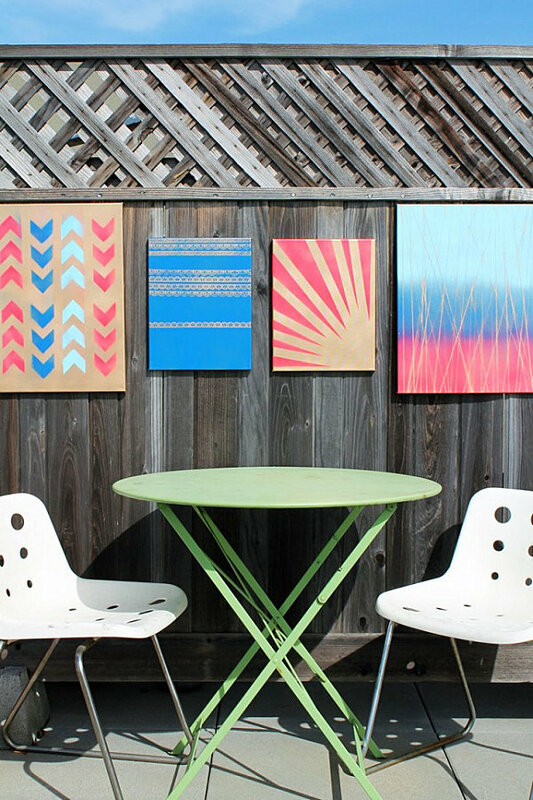 This Spray Paint Wall Art gets its power from the grouping of colorful canvases. 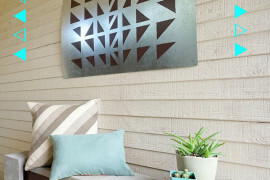 Spray paint, stencils and other handy materials help create the modern patterns you see below. I have some pre-cut metal sheeting that I might substitute for the canvases if I choose to tackle this innovative project! 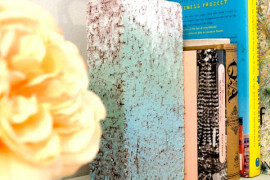 Head on over to Brit + Co. for all the details. 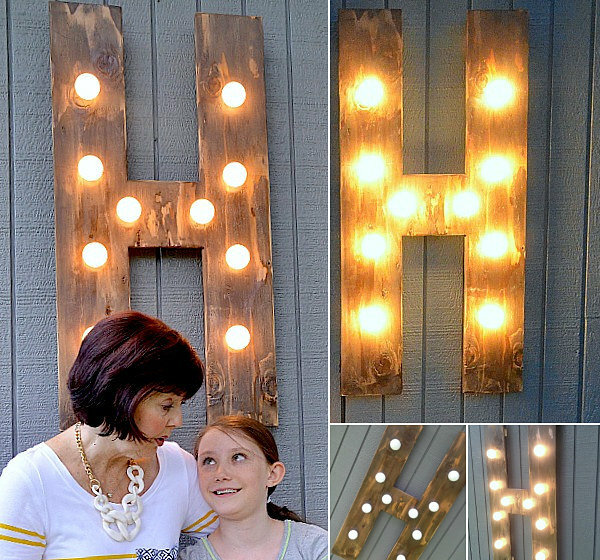 This Porch Wall Art is created by Amy of Positively Splendid. 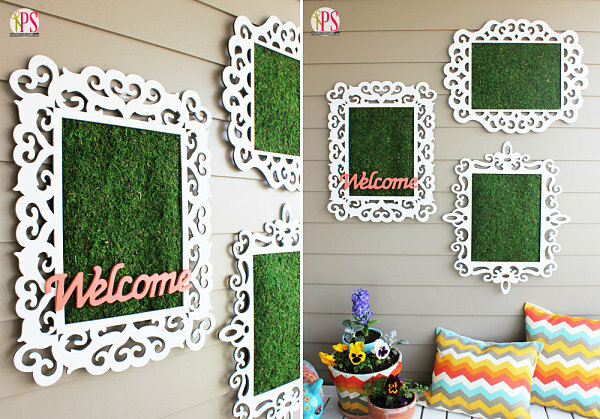 Featured at from Homes.com, the easy-to-craft project involves rolled moss fastened to the back of frames with the help of hot glue. The beauty of this project is the way you can customize it to suit your style. 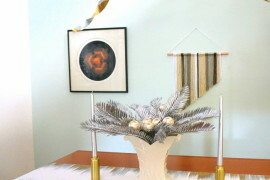 Create a more modern look using a clean-lined frame if you wish!